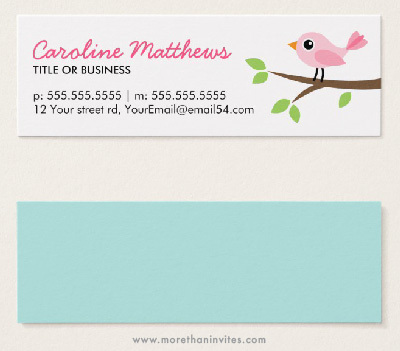 Personal profile skinny business card featuring a pink little bird standing on a branch with green leaves. Customizable name and contact information on the front. Aqua blue back. A cute design ideal for women. Available from Zazzle.